KAHALUU, OAHU (HawaiiNewsNow) - Waihee Road has been reopened after Board of Water Supply crews completed repairs to a 12-inch water main that broke early Thursday in Kahaluu. The water main break happened at approximately 5:15 a.m.
Due to the water main break, Waihee Road was closed between Ahilama Road and Kamehameha Highway. BWS said Kahaluu Elementary School, Kamehameha Preschool, KEY project and 22 homes were without water. 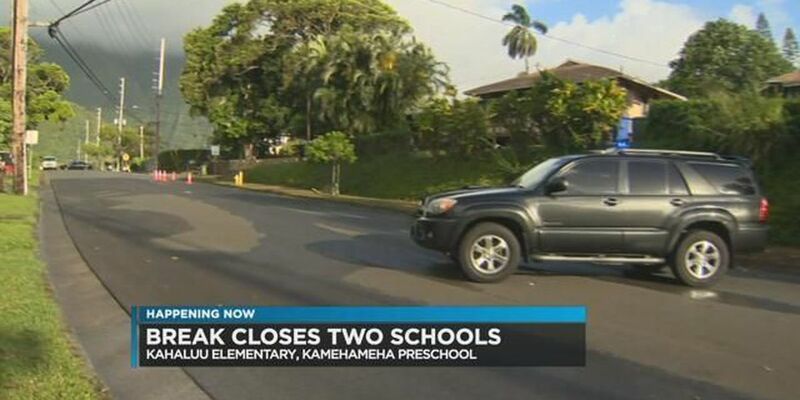 Both schools were canceled Thursday, but Kahaluu Elementary said it is reopened on Friday.